Abdel Kader Haidara had just gotten home to Timbuktu. Things were not the same as he had left them. An enemy force was occupying his city, and he knew he had to take immediate action. He had to plan the most daring heist he had ever accomplished. Over the next eight months, with the aid of relatives, colleagues, and like minded individuals, he secreted his cargo to safe houses around the city. The rate at which they moved the cargo was amazing. Some 50 to 80 metal and wooden trunks per day. When the trunks weren’t available they used oil barrels. Hundreds of packers, drivers, and couriers would work to pull this off. Cargo was smuggled over land and water, past enemy checkpoints and suspicious soldiers. This sounds like some blockbuster movie, but it’s not. It’s the story of how Abdel Kader Haidara saved thousands of texts from al Qaeda. In April of 2012, Haidara came back from a business trip and found that the Malian army had fallen and al Qaeda was now occupying Timbuktu. 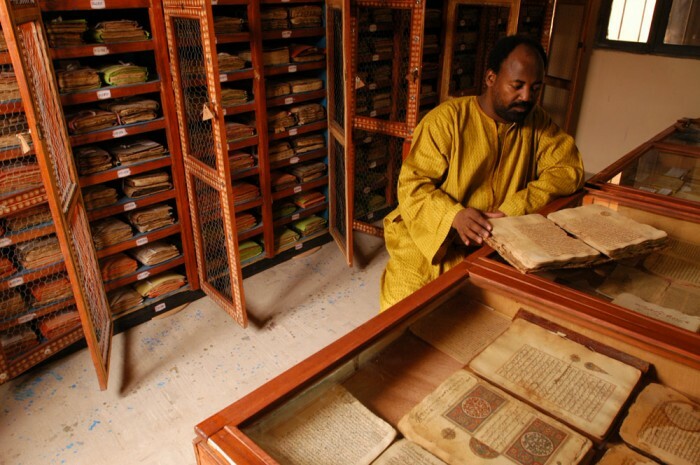 Haidara was worried that they would destroy the ancient texts, so he took action. He saved books of poetry and mathematics. Books on surgery and occult sciences. Even books about intellectual inquiry that the jihadists would want to destroy. For funding, he used money that had been put in savings for him to study English at Oxford. When he explained his plight and mission to the foundation that was funding his study they released the money in three days. From the time al Qaeda began their occupation in April 2012 to when the French invaded in January 2013, only 4,000 manuscripts had been destroyed out of nearly 400,000. Haidara successfully saved a large portion of ancient history. Haidara was key in making sure the destruction of history by al Qaeda was minimal. See, even librarians can be heroes.